Recently we have asked you in a poll, which one of the new lenses on the Fujifilm XF roadmap you are interested to buy. Turns out the XF33mmF1.0 is the most desired lens in the community, followed by the XF 16-80mmF4 and las the XF16mmF2.8. 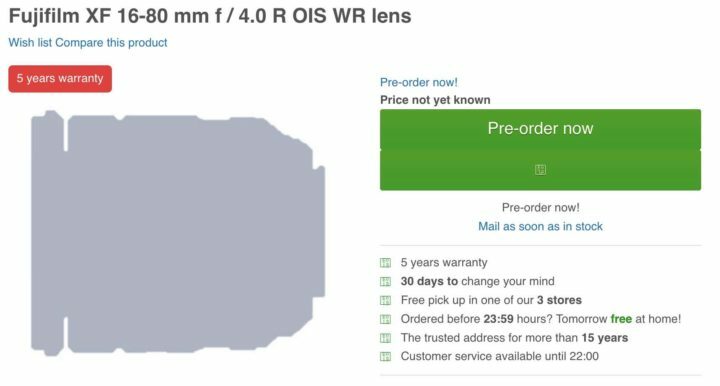 And just like many of us are impatiently waiting for the XF 33mm f/1.0, it seems that stores can’t wait to finally start selling the “world’s first mirrorless lens with F1.0 maximum aperture and AF capability“. 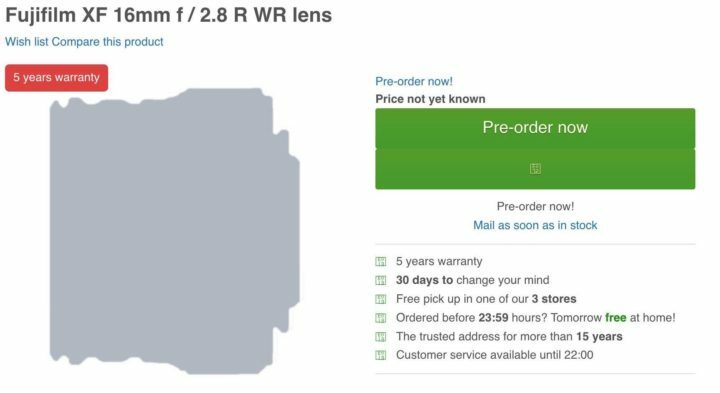 In fact, EU store Cameranu has already listed as available for pre-order the XF 33mm F1.0, which, according to the Fujifilm roadmap, will be available in 2020. Cameranu also listed the XF 16-80/4 and XF 16/2.8. Down below you can find the product description. I remind you that, based on technical sketches delivered by Fujifilm, here on FujiRumors you can already find size comparisons between the XF16mmF2.8 and XF16-80mmF4 Vs. other Fujinon lenses. With the Fujifilm XF 33 mm f / 1 R WR you have an ultra-fast lens that is designed for Fujifilm digital cameras with X-mount. 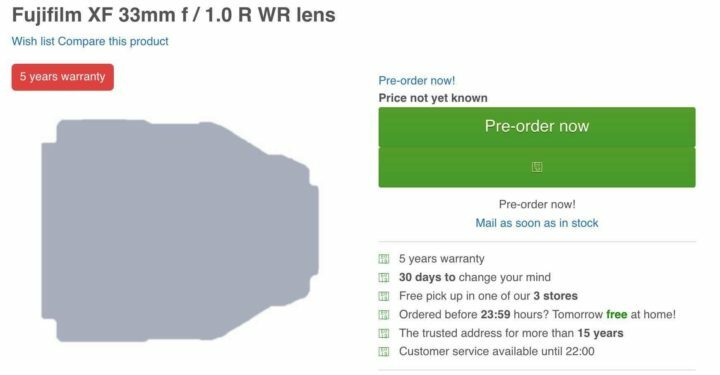 The lens with a fixed focal length of 33mm is the first mirrorless lens with a maximum aperture of f / 1.0 and built-in autofocus. This makes the lens versatile and ideal for low-light situations. The Fujifilm XF 33 mm f / 1.0 R WR features a fast and quiet autofocus motor that, together with the floating focus system, provides fast and precise focus. The lens has a metal casing and the aperture ring has 1/3 stops click stops for accurate shots . The robust housing is resistant to dust and moisture. The lens is sealed at various places to keep dust and moisture out of the door. The Fujifilm XF 16-80 mm f / 4.0 R OIS WR lens has a zoom range comparable to 24-122 mm in the 35 mm equivalent. The 16-80 mm maintains a constant maximum aperture of f / 4.0. Thanks to the wide range, this standard zoom lens can be used for many different photography genres. The XF 16-80 mm is equipped with optical image stabilization, which compensates for motion blur and vibrations. Hand-taking or making videos from your hand becomes a lot easier! Thanks to a robust, weatherproof housing, you can take the zoom lens out without any worries. With the Fujifilm XF 16 mm f / 2.8 R WR you have an ultra-fast wide-angle lens with a fixed focal length of 16 mm. The lens is designed for the Fujifilm digital cameras with X-mount. 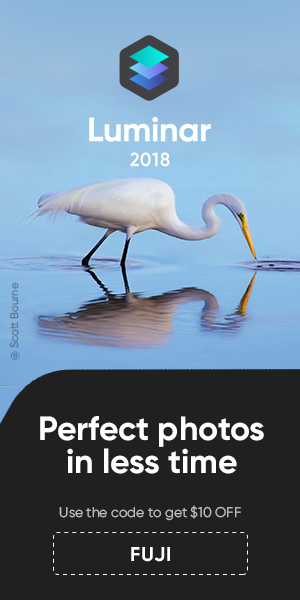 The maximum aperture of f / 2.8 makes this lens a perfect choice for landscape and travel photography. The lens has a metal casing and the aperture ring has 1/3 stops click stops for accurate shots. The robust housing is resistant to dust and moisture. The lens is sealed at various places to keep dust and moisture out of the door.